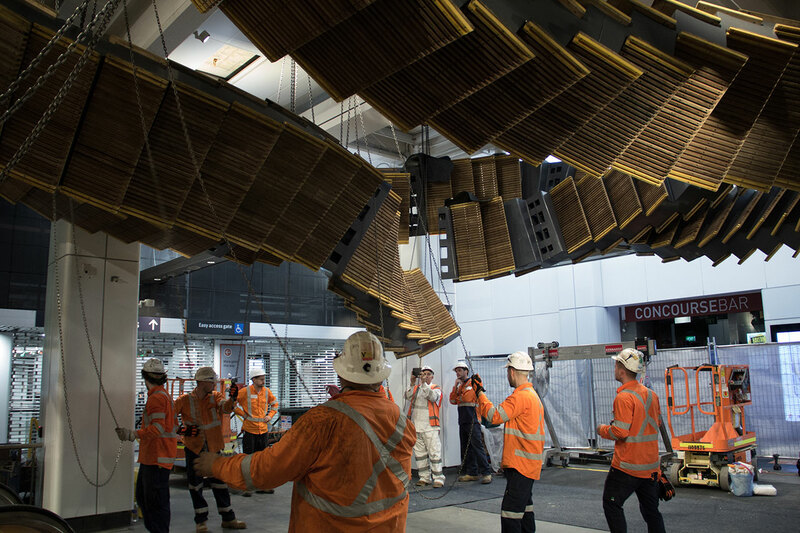 Entering Sydney's Wynyard Station via the York Street escalators, commuters are confronted by a surreal sight: a pair of looping, accordion-shaped stairways floating above them. 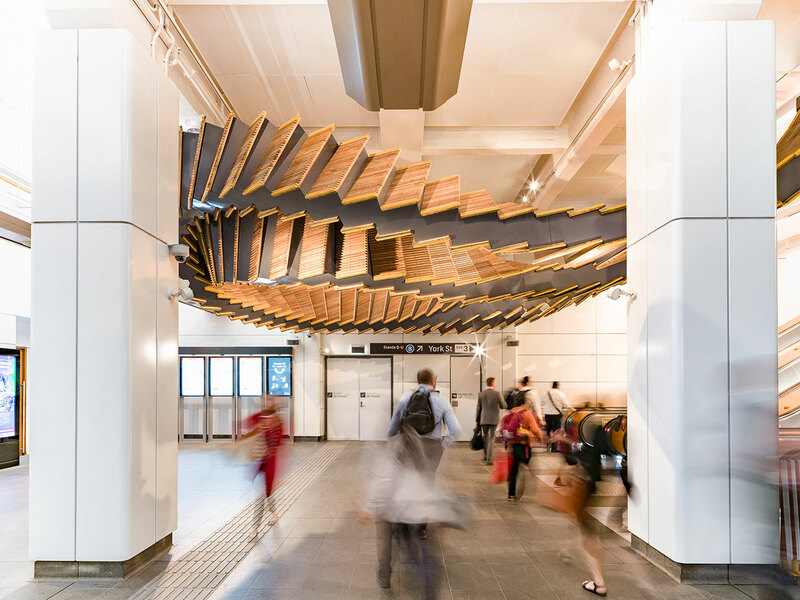 This is Interloop, a public sculpture by Australian conceptual artist Chris Fox, commissioned by Transport for New South Wales as part of the station’s overhaul. 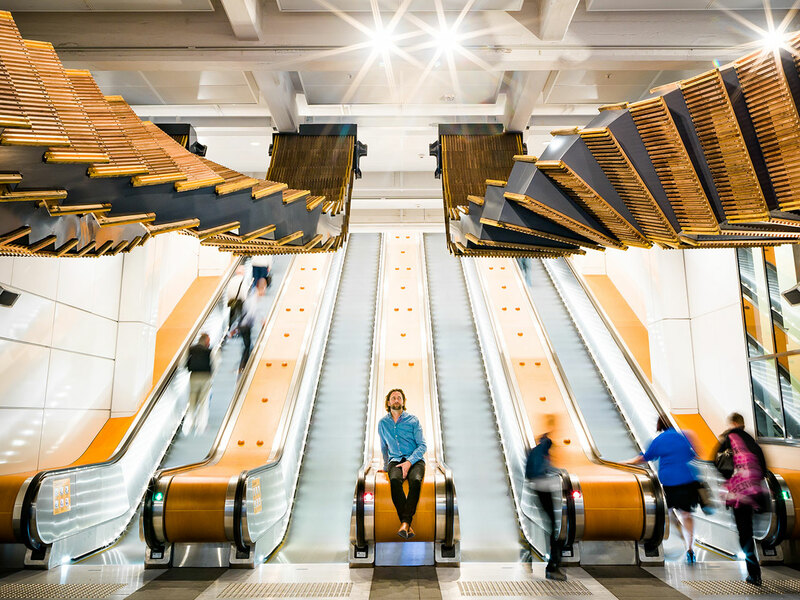 Made out of the wooden treads of the old escalators that have been serving the station since 1932, the suspended, large-scale installation is a marvel of engineering and ingenuity, a dynamic distillation of countless journeys, both past and future. 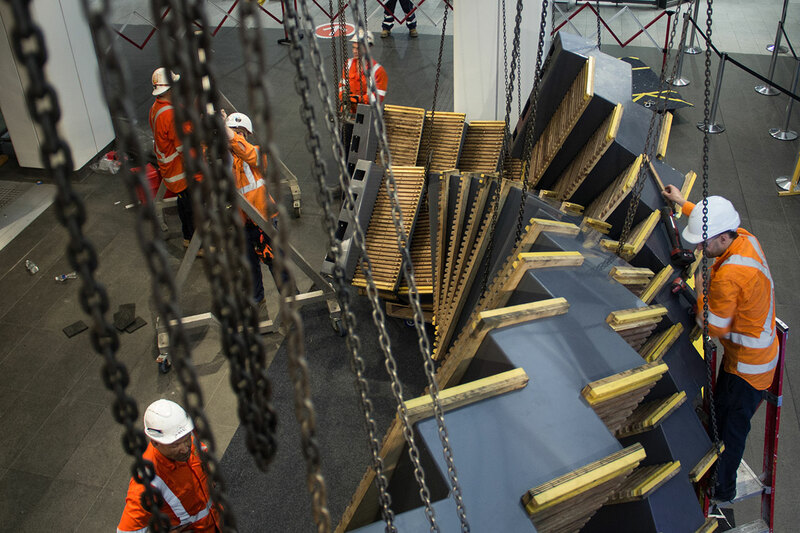 Weighing over five tons and measuring over fifty meters in length, the sculpture weaves together 244 timber treads that belonged to the old escalators, recently decommissioned after 80 years of service in favour of new metal models, in two twisting, jagged ribbons that wrap around each other above the station's underground concourse. 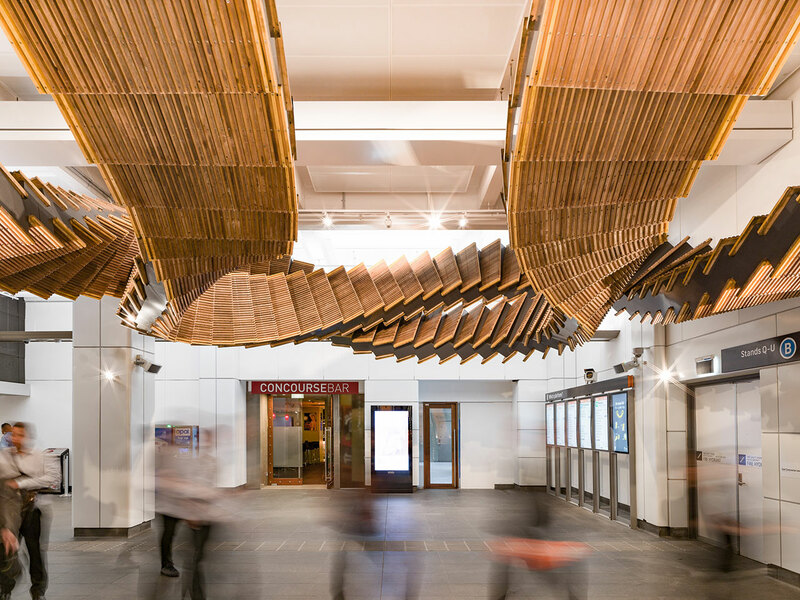 Anchored by four combs salvaged from the original mechanism and fixed to the ceiling above the bottom of the station's four newly installed escalators, the sculpture notionally picks up where the latter terminate. 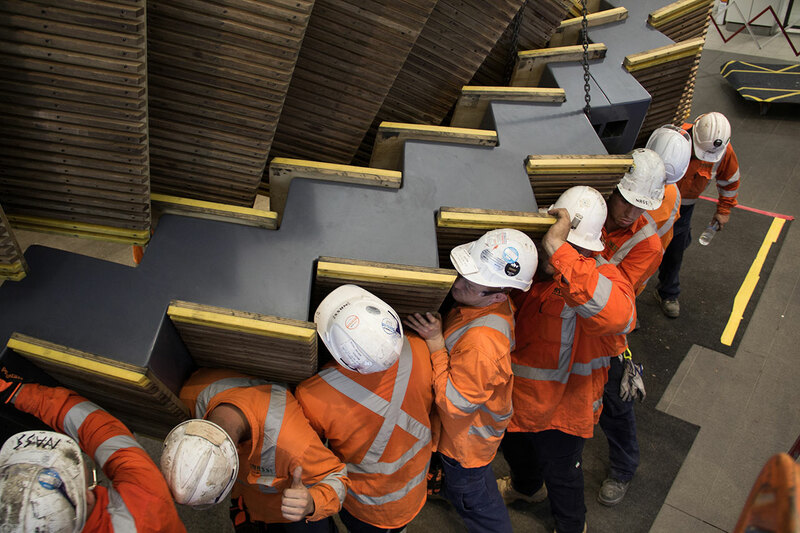 Resembling an infinity symbol folded in two, the looping structure is a reminder of the countless loops the escalators performed and the myriad commuters they served in their decades-long history. 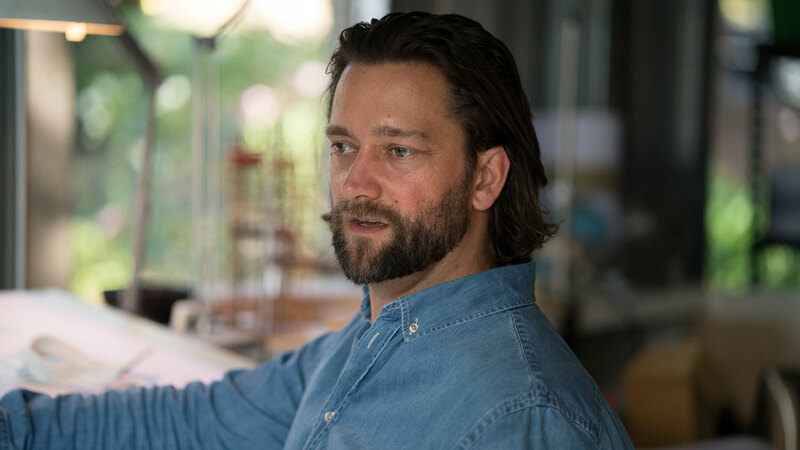 Chris Fox portrait. Photo by Josh Raymond. Chris Fox ‘Interloop’ 2017 | Video by David Varga. 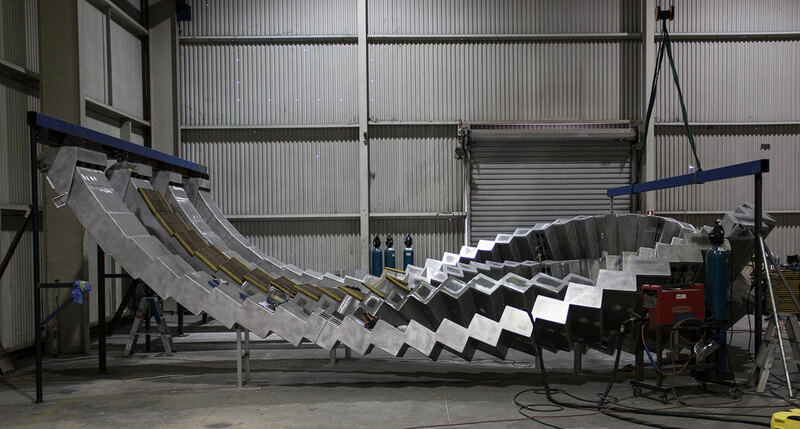 It took about six months to come up with a design that both served the artist's concept and conformed to the site's constraints, and about twelve weeks to fabricate it. 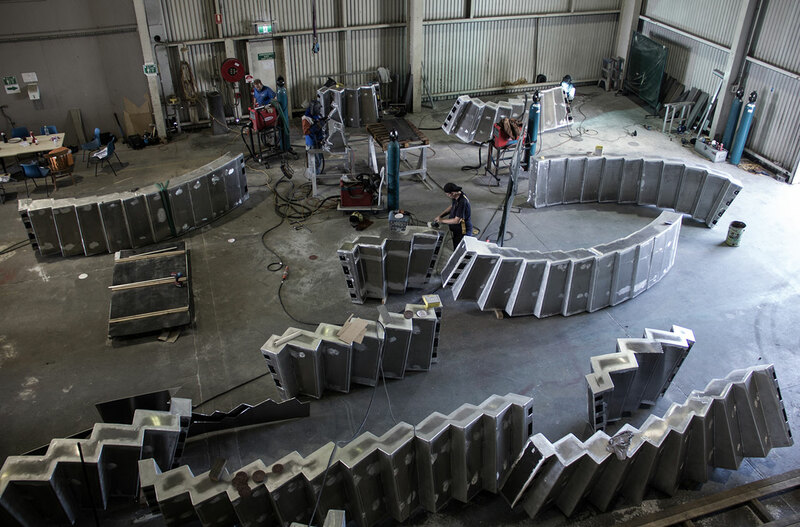 One of the most challenging aspects of this process was to rethink the sculpture's structural design when three months prior to the scheduled installation, the team was informed that instead of two weeks they had a mere weekend to get the sculpture installed. 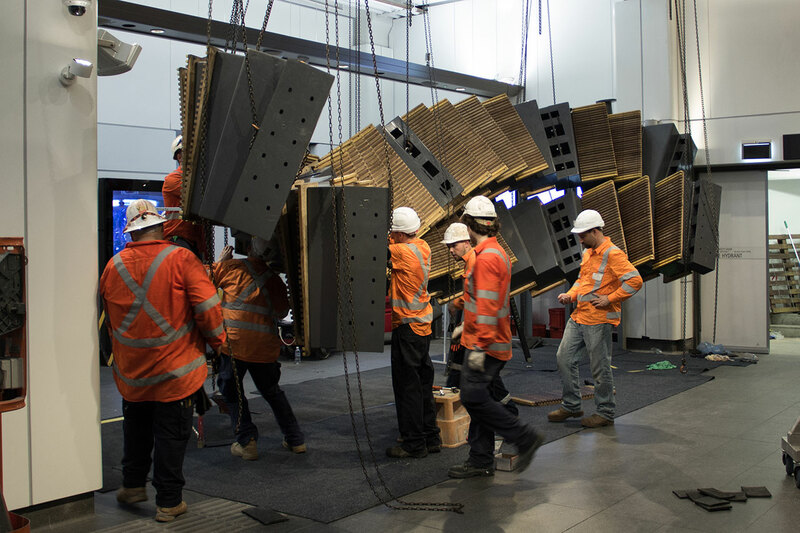 To facilitate such a speedy installation the design was reconfigured into 16 prefabricated pieces that were then bolted together on site. 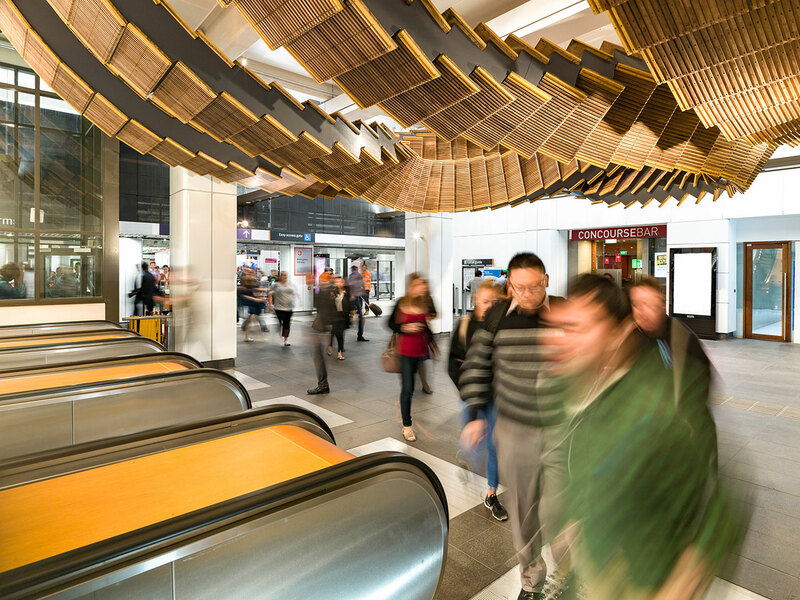 The inspiration for the project, according to Fox, is the pause people experience in their journey while travelling on the escalators; it is a mobile rather than a temporal pause of course but that is what makes it exceptional. 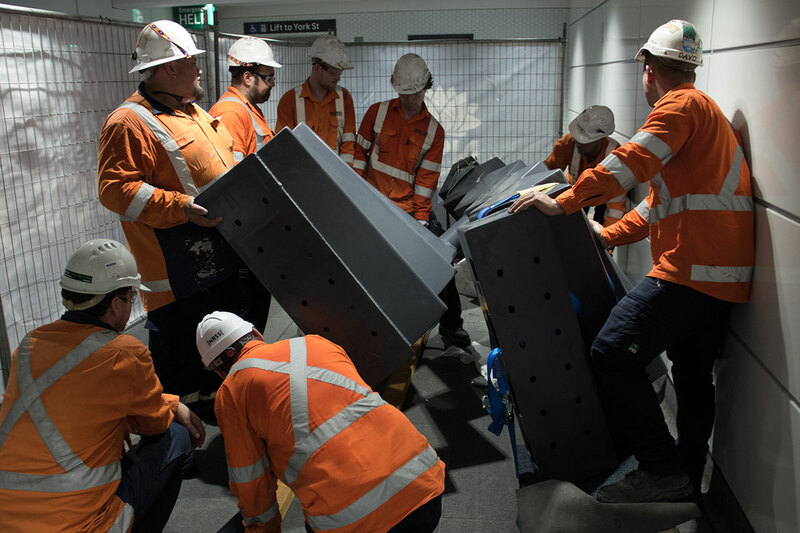 Although the same can be said of a train journey, it's not the same as the enclosure of the cabin diminishes the core experience of moving through space - it’s the train that is moving rather than you after all. 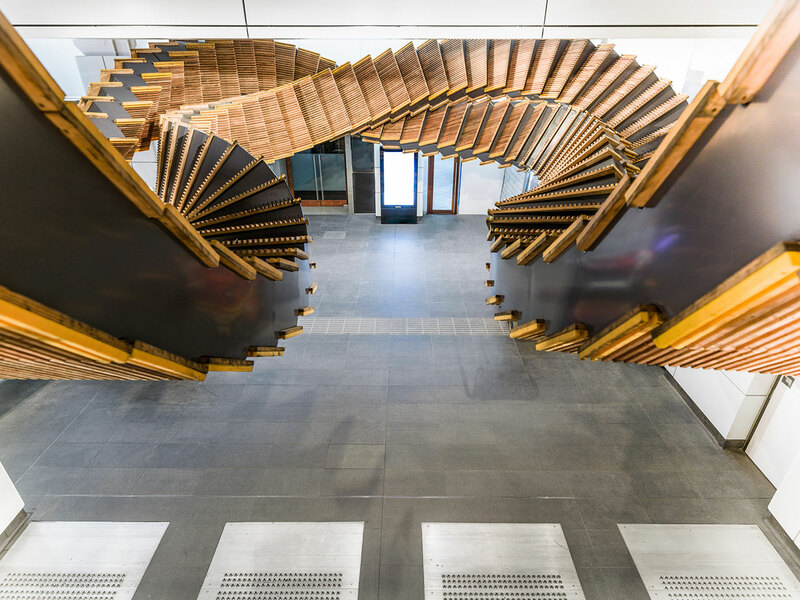 This is not the case when travelling on escalators, where you experience firsthand the incongruity of moving up or down through space without actually moving which in this case is a riveting sensation that Fox's airborne sculpture vividly portrays though its gravity-defying, twisting acrobatics. 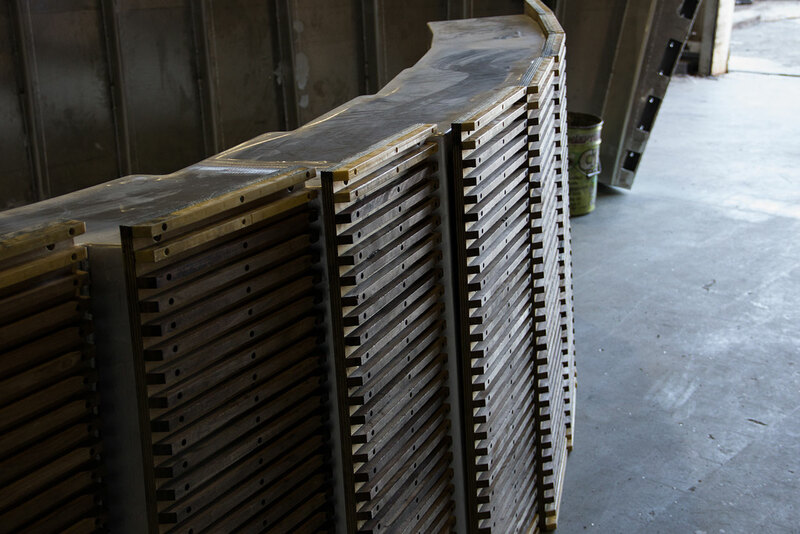 With a background in both art and architecture, Fox’s intention to interrogate the conceptual and material boundaries between these two practices seems pertinent. 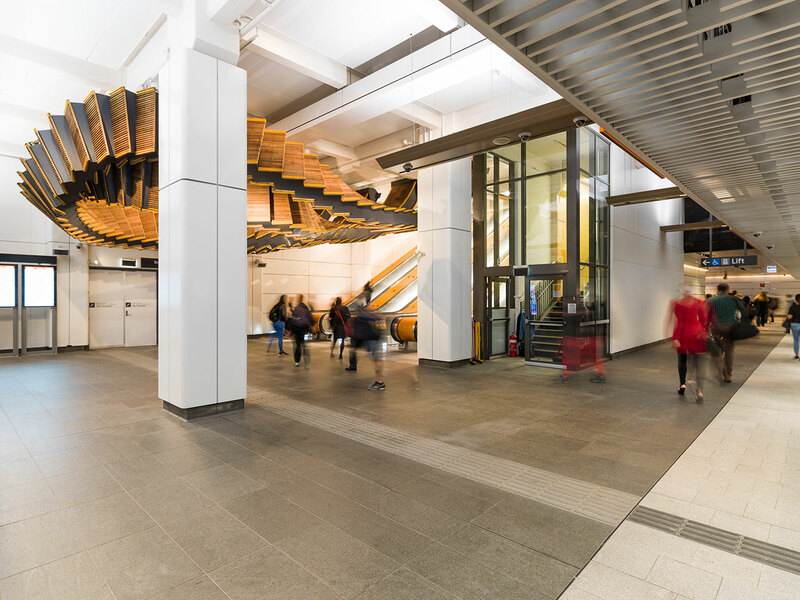 But more than that, by focusing on the station's heritage escalators, a crucial component of the city's transportation development and urban planning, he is also referencing all the crisscrossing journeys through the station's history while paying tribute to its glorious past.